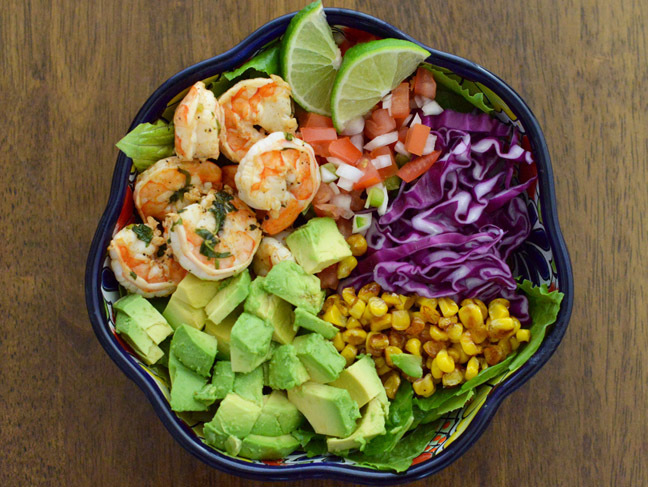 One of my favorite go-to meals to prepare for my family is this colorful shrimp and avocado taco salad. My kids aren’t always so willing to eat veggies, but with their favorite dressing and taco toppings, this is a salad that my kids will actually eat and ask for. It’s filled with so many flavorful and good-for-you ingredients that make it super satisfying. 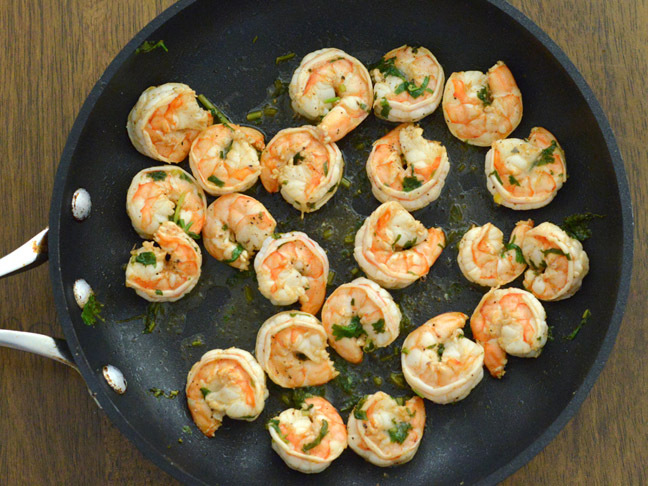 If you or someone in your family isn’t a fan of shellfish, the shrimp is easy to swap out with any leftover roasted chicken, seafood, or even tofu. 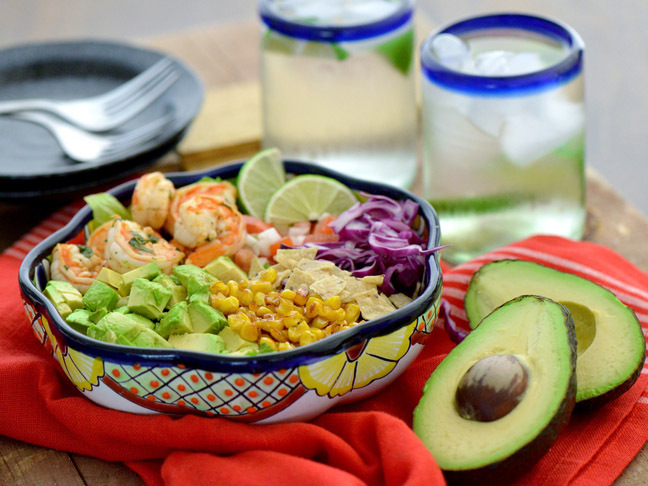 Quadruple this taco salad recipe, put it in a big bowl, and it makes for a gorgeous, colorful salad to take to a party. Step 1: Combine lemon juice, cilantro, and chipotle pepper powder in a small bowl. Whisk with a fork to combine. 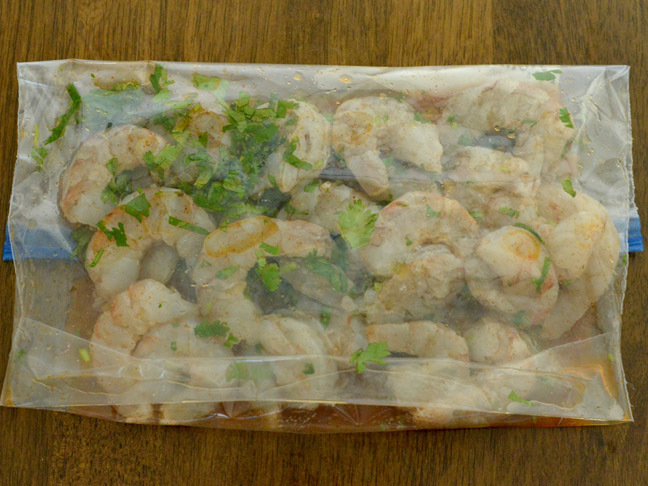 Step 2: Place shrimp in a large sealable bag, and add the cilantro/chipotle/lemon juice mixture to the bag. Seal and shake to distribute marinade evenly. Refrigerate for 10 minutes. Step 3: While the shrimp marinates, heat 2 tablespoons grapeseed oil in a large skillet over medium heat. 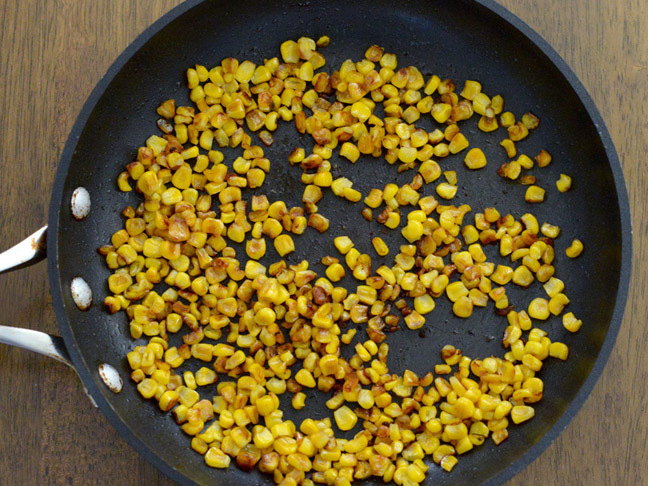 Add corn and cook for 10 minutes, stirring constantly, until corn begins to brown. Remove from heat and let cool. 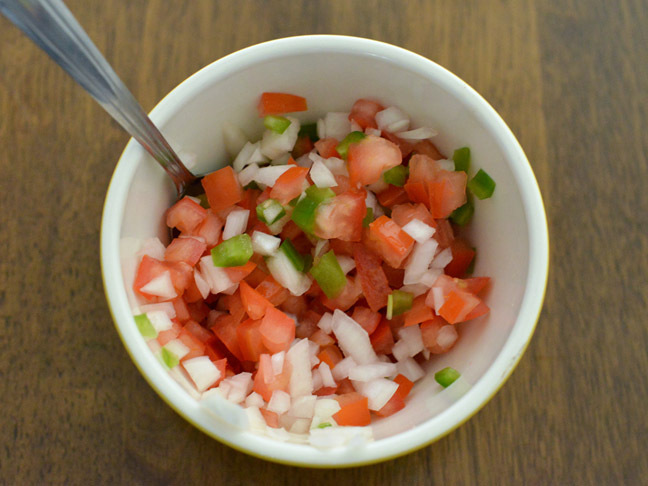 Step 4: In a small bowl, combine tomato, onion, and jalapeño. Set aside. Step 5: In a large skillet, heat 1 tablespoon grapeseed oil. 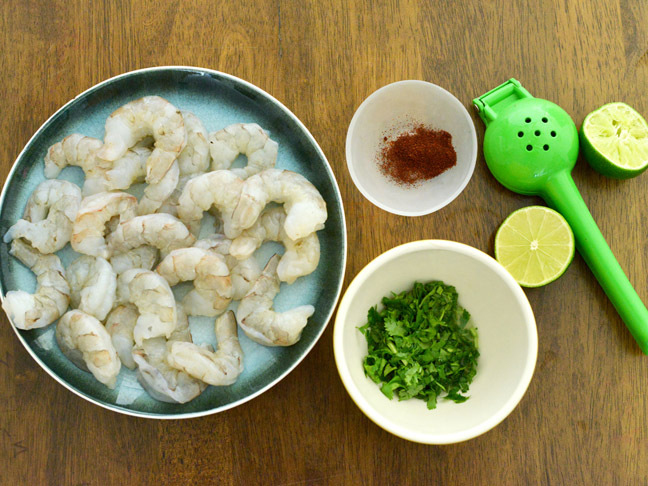 Add shrimp, discard marinade, and cook for 5 minutes or until shrimp turn pink. Do not overcook. Step 6: Slice avocado in half lengthwise and remove pit. 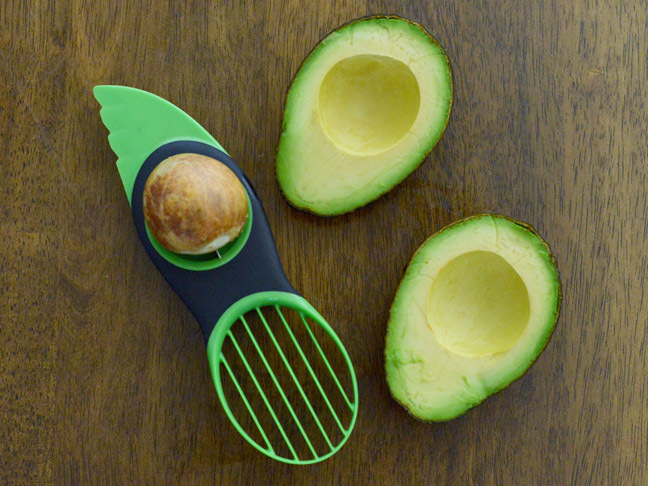 I used a special avocado tool to remove pit. 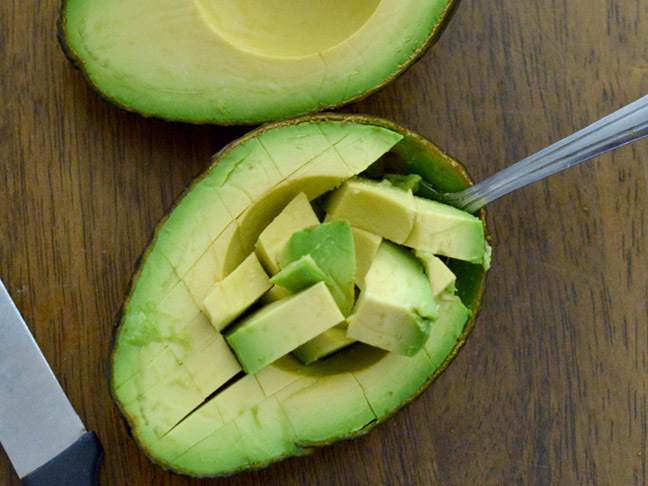 Step 7: Slice avocado in cubes, not piercing skin. Scoop out pieces with a small spoon. 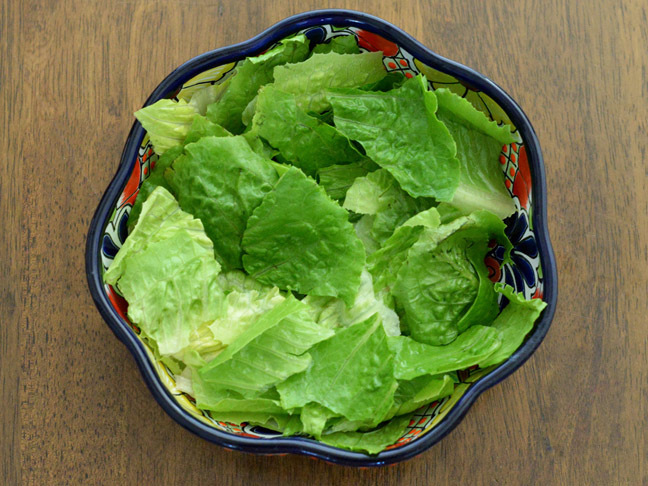 Step 8: Arrange a thick layer of Romaine lettuce on the bottom of a salad bowl. 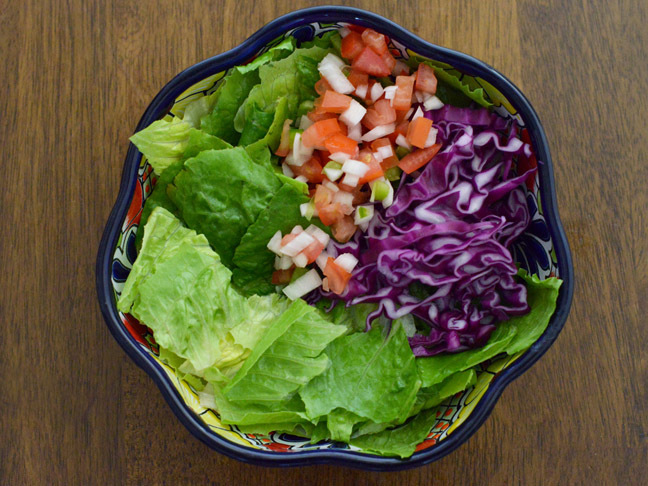 Step 9: Arrange purple cabbage and tomato/onion/jalapeño mixture on top of the Romaine lettuce layer. 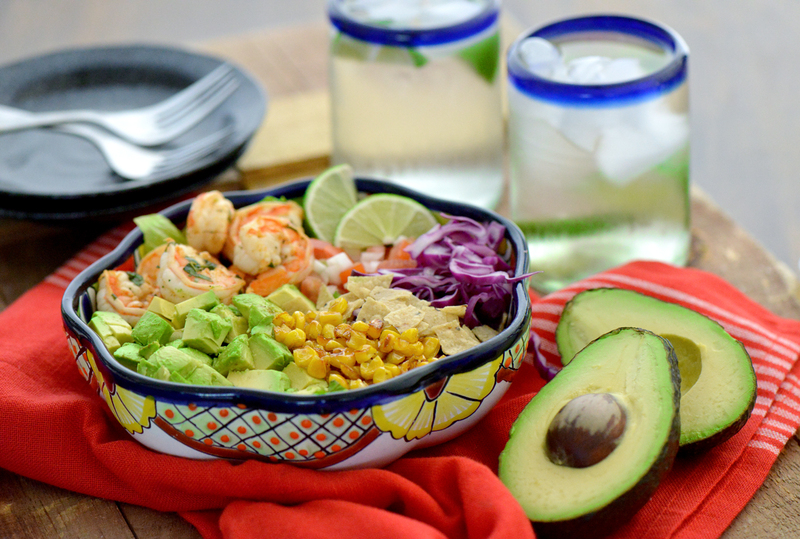 Step 10: Follow with roasted corn, shrimp, avocado, chips, salt and pepper to taste, and a squeeze of lemon juice. 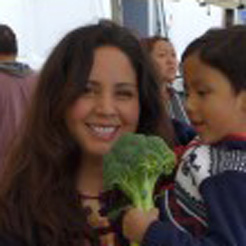 Ericka Sanchez is a recipe developer, food writer, and bicultural mom. She was born in Mexico, raised in Texas, and now lives in Los Angeles, CA. She created her blog, Nibbles and Feasts, to preserve and share her favorite traditional family recipes and new recipes created by me.